Aleph IT introduces to you the malware removal services Perth that no one can be on par with. You can count on our expert technicians to successfully solve your malware problems quickly and efficiently. Malware typically involves spyware, Trojan horses, ransomware, viruses, and worms. scanning your computer and eliminating traces of malware. Our engineer ensures that your existing anti-malware program is up- to -date and running appropriately. Malware removal services Perth detect and prevent contact with often disguised malicious links or website. Our services ensure that your computer is proactively secure from downloading malware, infected ads, and hacking trial. It also terminates unknown and known ransom ware by completely defending and blocking it with our advanced anti-malware technology. In general, our malware removal services Perth ensure that your PC experiences latest updates, patches, security software to avoid future attacks. The best of all —we guarantee a no fix, no fee service! It is vital to keep your anti- malware, anti-spyware, anti- virus programs up-to-date. We cannot escape the fact that these computer infections are being written all the time. Keeping your software updated gears it to fight new malware programs. No computer is invulnerable to malware attacks. It is always best to have a backup of all of your important files like photos, videos, and personal documents. We can remove the malware but it is virtually impossible to retrieve lost files once they’re gone. This serves as an act of safety in case a strong and persistent malware infects your computer. Haven’t made your backups yet? Well, we suggest you start it as soon as possible! We also offer Virus Removal Services Perth. 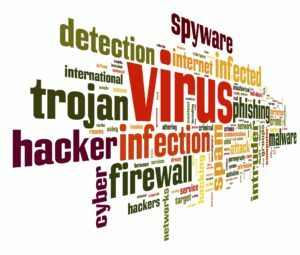 For more questions about Malware Removal Services Perth, contact us now and protect your computer from all threats! This entry was posted in Aleph IT Services and tagged best malware removal, malware removal, malware removal tool, website malware removal.